[Aleksejs Mirnijs] needed a tool to accurately measure the power consumption of his Raspberry Pi and Arduino projects, which is an important parameter for dimensioning adequate power supplies and battery packs. Since most SBC projects require a USB hub anyway, he designed a smart, WiFi-enabled 4-port USB hub that is also a power meter – his entry for this year’s Hackaday Prize. [Aleksejs’s] design is based on the FE1.1s 4-port USB 2.0 hub controller, with two additional ports for charging. Each port features an LT6106 current sensor and a power MOSFET to individually switch devices on and off as required. An Atmega32L monitors the bus voltage and current draw, switches the ports and talks to an ESP8266 module for WiFi connectivity. The supercharged hub also features a display, which lets you read the measured current and power consumption at a glance. Unlike most cheap hubs out there, [Aleksejs’s] hub has a properly designed power path. If an external power supply is present, an onboard buck converter actively regulates the bus voltage while a power path controller safely disconnects the host’s power line. Although the first prototype is are already up and running, this project is still under heavy development. We’re curious to see the announced updates, which include a 2.2″ touchscreen and a 3D-printable enclosure. If you are like us, you’ll read a bit more and smack your forehead. Amazon recently filed a patent. That isn’t really news, per se–they file lots of patents, including ones that cover clicking on a button to order something and taking pictures against white backgrounds (in a very specific way). However, this patent is not only a good idea, but one we were surprised didn’t arise out of the hacker community. There can’t be an invention without a problem and the problem this one solves is a common one: While wearing noise cancelling headphones, you can’t hear things that you want to hear (like someone coming up behind you). The Amazon solution? Let the headphones monitor for programmable keywords and turn off noise cancellation in response to those words. We wonder if you could have a more sophisticated digital signal processor look for other cues like a car horn, a siren, or a scream. We’ve talked about fixing commercial noise cancelling headphones before. If you don’t mind going low-tech, there’s always the easy way out, but those aren’t likely to accommodate speech recognition. Last year, the Federal Communications Commission proposed a rule governing the certification of RF equipment, specifically wireless routers. This proposed rule required router manufacturers to implement security on the radio module inside these routers. Although this rule is fairly limited in scope – the regulation only covers the 5GHz U-NII bands, and only applies to the radio subsystem of a router, the law of unintended consequences reared its ugly head. The simplest way to lock down a radio module is to lock down the entire router, and this is exactly what a few large router manufacturers did. Under this rule, open source, third-party firmwares such as OpenWRT are impossible. Now, router manufacturer TP-Link has reached an agreement with the FCC to allow third-party firmware. Under the agreement, TP-Link will pay a $200,000 fine for shipping routers that could be configured to run above the permitted power limits. This agreement is in stark contrast to TP-Link’s earlier policy of shipping routers with signed, locked firmware, in keeping with the FCC’s rule. This is a huge success for the entire open source movement. Instead of doing the easy thing – locking down a router’s firmware and sending it out the door – TP-Link has chosen to take a hit to their pocketbook. That’s great news for any of the dozens of projects experimenting with mesh networking, amateur radio, or any other wireless networking protocol, and imparts a massive amount of goodwill onto TP-Link. Thanks [Maave] for the tip. Home automation is a favorite in sci-fi, from Tony Stark’s Jarvis, to Rosie the robotic maid on the Jetsons, and even the sliding doors pulled by a stagehand Star Trek. In fact, most people have a favorite technology that should be just about ready to make an appearance in their own home. So where are these things? We asked you a few weeks ago and the overwhelming answer was that the software just isn’t there yet. We’re toddling through the smart home years, having been able to buy Internet-connected garage doors and thermostats for some time now. But for the most part all of these systems are islands under one roof. Automation is the topic of the current challenge for the 2016 Hackaday Prize. Developing the glue that can hold all of these pieces together would make a great entry. Why doesn’t that glue yet exist? I think the problem is really twofold. On the one hand, there isn’t a clear way to make many devices work under one software. Second, there really isn’t an obvious example of great user experience when it comes to home automation. Let’s look at why and talk about what will eventually get us there. Transistors have come a long way. Like everything else electronic, they’ve become both better and cheaper. 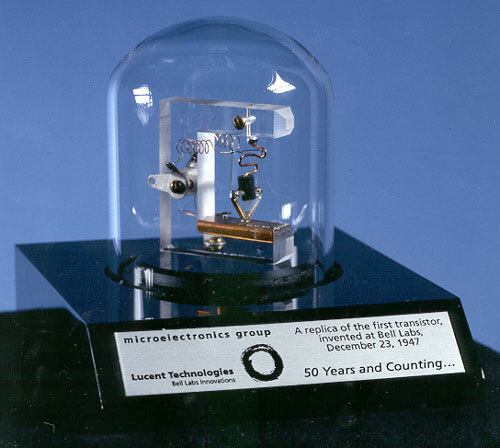 According to a recent IEEE article, a transistor cost about $8 in today’s money back in the 1960’s. 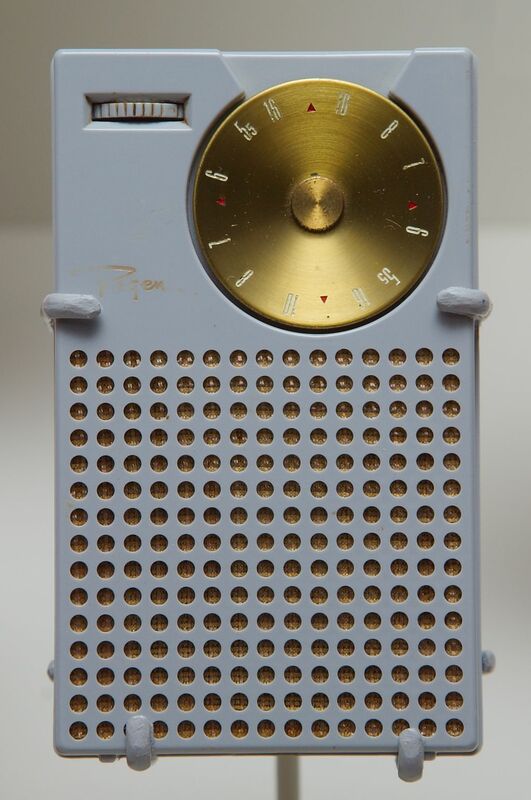 Consider the Regency TR-1, the first transistor radio from TI and IDEA. In late 1954, the four-transistor device went on sale for $49.95. That doesn’t sound like much until you realize that in 1954, this was equivalent to about $441 (a new car cost about $1,700 and a copy of life magazine cost 20 cents). Even at that price, they sold about 150,000 radios. Part of the reason the transistors cost so much was that production costs were high. But another reason is that yields were poor. In some cases, 4 out of 5 of the devices were not usable. The transistors were not that good even when they did work. The first transistors were germanium which has high leakage and worse thermal properties than silicon. Early transistors were subject to damage from soldering, so it was common to use an alligator clip or a specific heat sink clip to prevent heat from reaching the transistor during construction. Some gear even used sockets which also allowed the quick substitution of devices, just like the tubes they replaced. When the economics of transistors changed, it made a lot of things practical. For example, a common piece of gear used to be a transistor tester, like the Heathkit IT-121 in the video below. If you pulled an $8 part out of a socket, you’d want to test it before you spent more money on a replacement. Of course, if you had a curve tracer, that was even better because you could measure the device parameters which were probably more subject to change than a modern device. Of course, germanium to silicon is only one improvement made over the years. The FET is a fundamentally different kind of transistor that has many desirable properties and, of course, integrating hundreds or even thousands of transistors on one integrated circuit revolutionized electronics of all types. Transistors got better. Parameters become less variable and yields increased. Maximum frequency rises and power handling capacity increases. Devices just keep getting better. And cheaper. The path from vacuum tube to the Regency TR-1 was a twisted one. Everyone knew the disadvantages of tubes: fragile, power hungry, and physically large, although smaller and lower-power tubes would start to appear towards the end of their reign. In 1925 a Canadian physicist patented a FET but failed to publicize it. Beyond that, mass production of semiconductor material was unknown at the time. A German inventor patented a similar device in 1934 that didn’t take off, either. Bell labs researchers worked with germanium and actually understood how to make “point contact” transistors and FETs in 1947. However, Bell’s lawyers found the earlier patents and elected to pursue the conventional transistor patent that would lead to the inventors (John Bardeen, Walter Brattain, and William Shockley) winning the Nobel prize in 1956. Two Germans working for a Westinghouse subsidiary in Paris independently developed a point contact transistor in 1948. It would be 1954 before silicon transistors became practical. 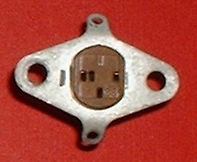 The MOSFET didn’t appear until 1959. Of course, even these major milestones are subject to incremental improvements. The V channel for MOSFETs, for example, opened the door for FETs to be true power devices, able to switch currents required for motors and other high current devices. Disruption is a basic tenet of the Open Hardware movement. How can my innovative use of technology disrupt your dinosaur of an establishment to make something better? Whether it’s an open-source project chipping away at a monopoly or a commercial start-up upsetting an industry with a precarious business model based on past realities, we’ve become used to upstarts taking the limelight. As an observer it’s interesting to see how the establishment they are challenging reacts to the upstart. Sometimes the fragility of the challenged model is such that they collapse, other times they turn to the courts and go after the competitor or even worse, the customers, in an effort to stave off the inevitable. Just occasionally though they embrace the challengers and try to capture some of what makes them special, and it is one of these cases that is today’s subject. A famously closed monopoly is the world of academic journals. A long-established industry with a very lucrative business model hatched in the days when its product was exclusively paper-based, this industry has come under some pressure in recent years from the unfettered publishing potential of the Internet, demands for open access to public-funded research, and the increasing influence of the open-source world in science. Elsevier, one of the larger academic publishers, has responded to this last facet with HardwareX, a publication which describes itself as “an open access journal established to promote free and open source designing, building and customizing of scientific infrastructure“. In short: a lot of hardware built for scientific research is now being created under open-source models, and this is their response. Some readers might respond to this with suspicion, after all the open-source world has seen enough attempts by big business to embrace its work and extend it into the proprietary, but the reality is that this is an interesting opportunity for all sides. The open access and requirement for all submissions to be covered under an open hardware licence mean that it would be impossible for this journal to retreat behind any paywalls. In addition the fact of it being published in a reputable academic journal will bring open-source scientific hardware to a new prominence as it is cited in papers appearing in other journals. Finally the existence of such a journal will encourage the adoption of open-source hardware in the world of science, as projects are released under open-source licences to fulfill the requirements for submission. So have the publishing dinosaurs got it right, and is this journal an exciting new opportunity for all concerned? We think it has that potential, and the results won’t be confined to laboratories. Inevitably the world of hackers and makers will benefit from open-source work coming from scientists, and vice versa. Thanks [Matheus Carvalho] for the tip. Bookbinding workshop image: By Nasjonalbiblioteket from Norway [No restrictions], via Wikimedia Commons.